1965 Toyota Stout - Very few of these trucks made their way to the US. Of the few that did, not many survive. Take a walk around a Stout and it looks pretty normal, almost bland, until you get to the front end. The turn signals are mounted at the end of tunnels (for lack of a better word) that run down the tops of the fenders. There's no really good reason for this, they would have worked just as well if they were mounted in the grille or bumper, Toyota just did it to be different. It looks pretty cool. As with many older Japanese vehicles, the Stout was underpowered. This truck most likely has a 1490cc 4 cylinder engine. The transmission is a 3 speed manual with a steering column mounted shifter. 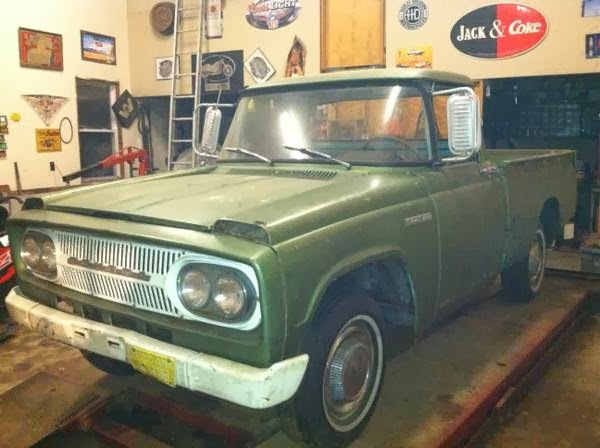 The seller doesn't leave much info, other than than saying it's "all original" and "needs to be restored." Located in Hooksett, NH, click here to see the Craigslist ad. 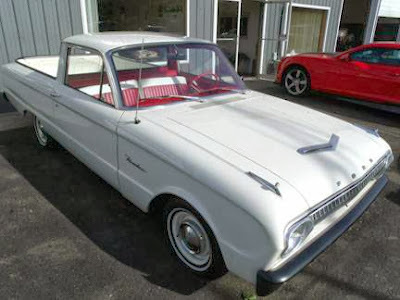 1962 Ford Ranchero - The Ranchero was the first modern (post WW II) car based pick up. Introduced in 1957, it was originally based on a full size Ford car. In 1960, Ford introduced the downsized Ranchero, the Falcon Ranchero. Until 1963, it was only available with a 6 cylinder engine. The seller of this Ranchero leaves even less info than the seller of the Stout above. He says it has 38,000 miles on it. It appears to have a 3 speed manual transmission. Like the Stout, the shifter is column mounted. 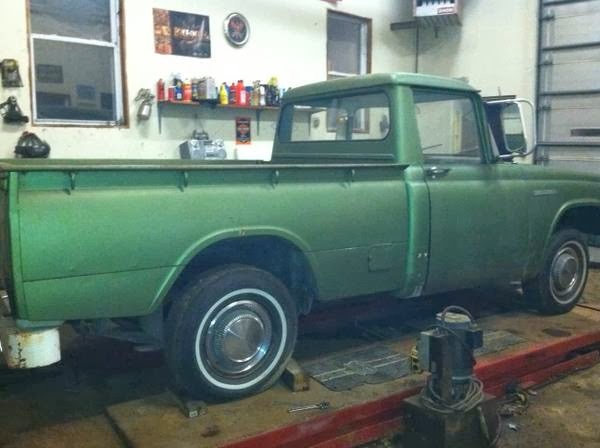 Located in Cohocton, NY, click here to see the Craigslist ad. I really like small pick up trucks and am partial to car based trucks. 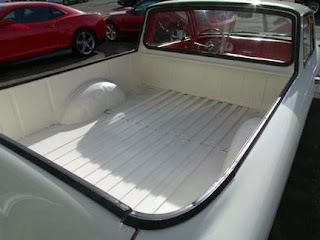 If I had unlimited funds and storage space, I'd buy the Ranchero, just to bring to shows or drive around town. However, if I wanted a truck to haul around gardening supplies, small household items and things like that, I'd choose the Stout. Its a cool old truck that can still be used as a truck. A big thanks to Jon for the links to these two trucks! Stouts have a 4 speed on the column, Its very strange.